London, Jan 17: British Prime Minister Theresa May has won a confidence vote, a day after her government suffered a parliamentary defeat over her Brexit deal with the European Union (EU). May won by 325 votes to 306 - a majority of 19, averting a general election. After her win, Ms May called on MPs to put self-interest aside and work constructively together to find a way forward for Brexit. 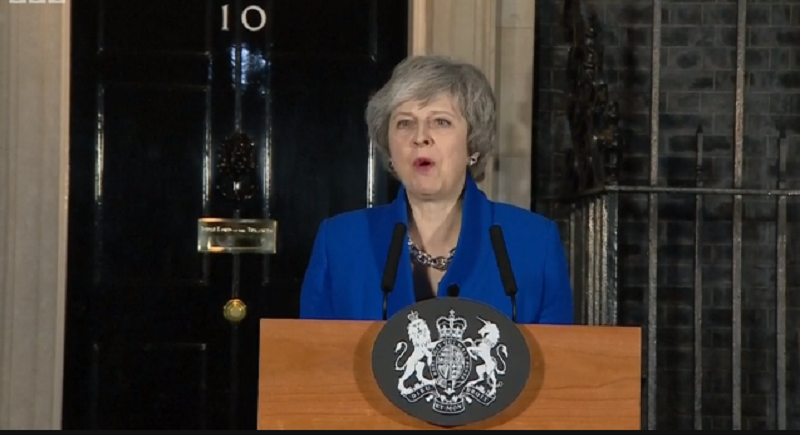 Prime Minister expressed disappointment for the members who did not support her, she said “I am disappointed the leader of the labour party has not so far chosen to take part but our doors remain open. MPs have duties to take part in National interest, reach a consensus and get this done. In a historic vote at 2016, the country decided to leave the EU. In 2017 80% people voted to stand on the manifesto, promising to respect that result. Now over two and a half years later it’s time for us to come together for the National interest first and deliver on the referendum.